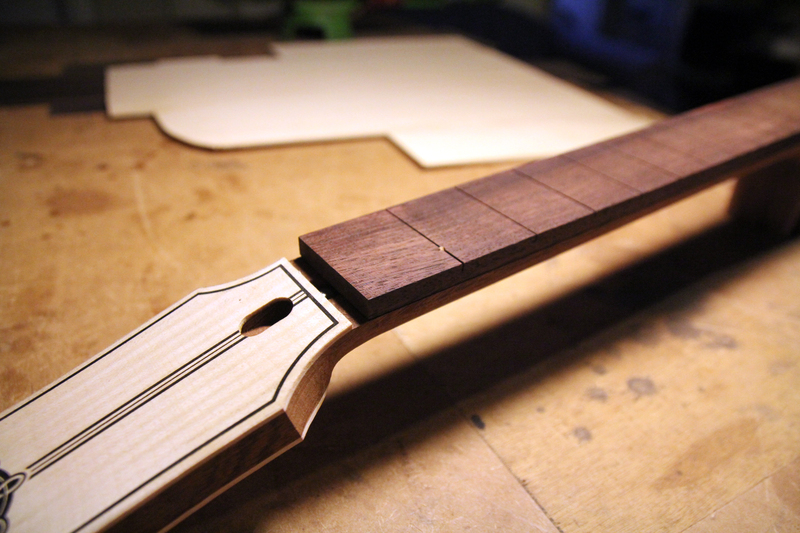 We’ve been working on the neck and headstock of the Carolan guitar. 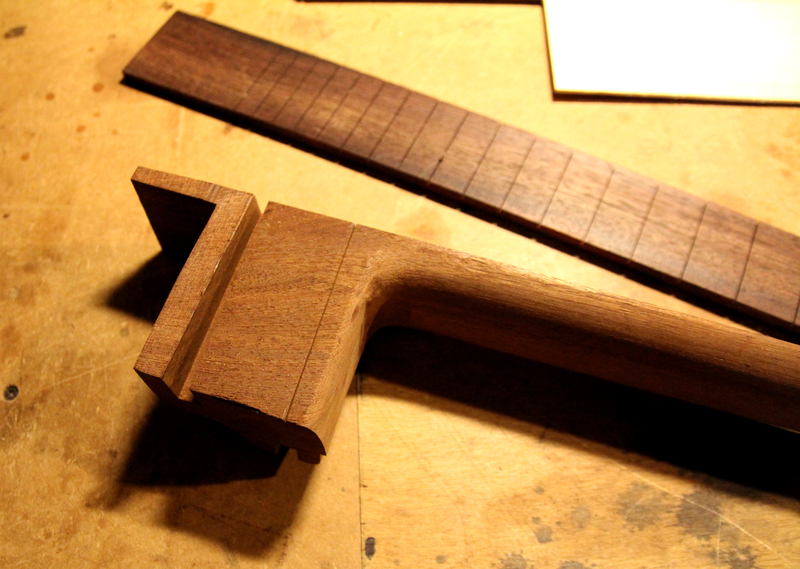 Nick has prepared our piece of reclaimed mahogany to form the general shape of the headstock. In the meantime, we’ve been back to Nottingham’s Nottinghack maker space to embark on our first ‘serious’ laser etching session, by which we mean our first attempt to apply an aestheticode pattern to an actual piece of flamed maple that will form part of the guitar, in this case the headstock . 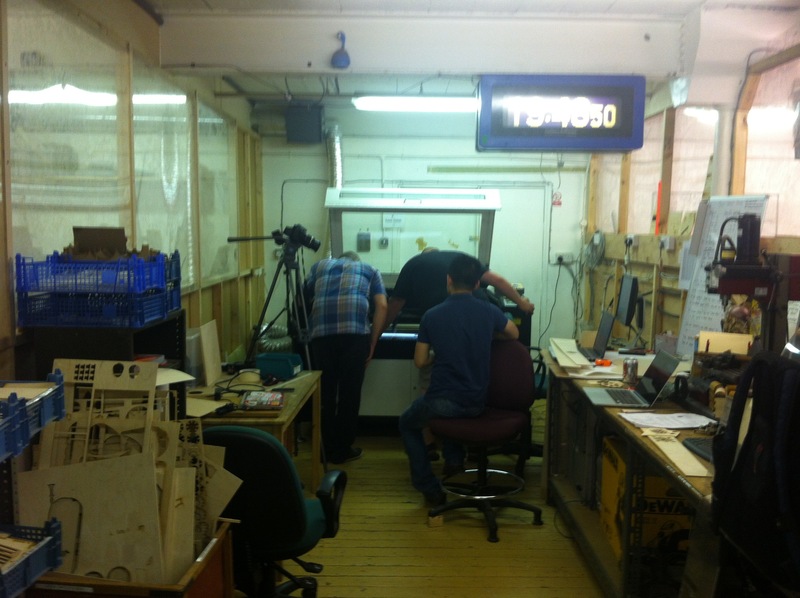 It’s an tense moment as we gather around the machine and hold our collective breath. 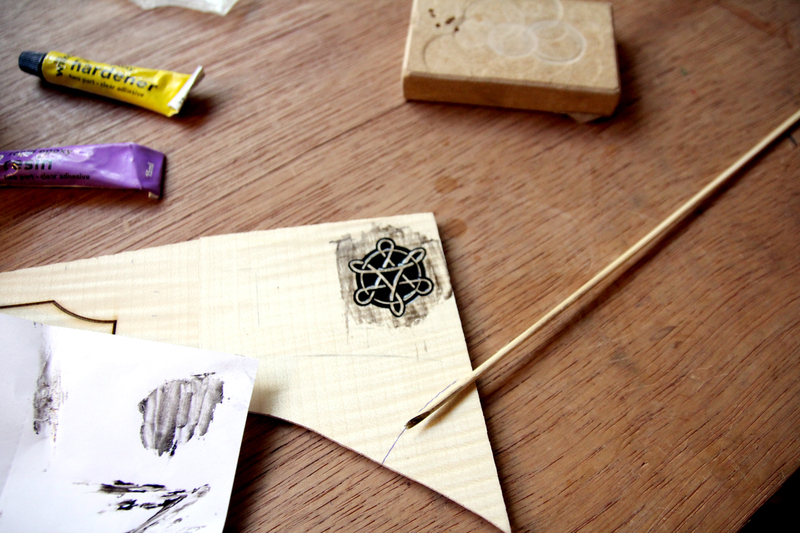 Fortunately there are no earthquakes to disturb the etching process* and we manage to complete this first proper etch successfully. Initial results look promising. Mind you, we’re pushing the boundaries of scale in trying to keep this pattern small and neat and also avoid areas where the strings will run. 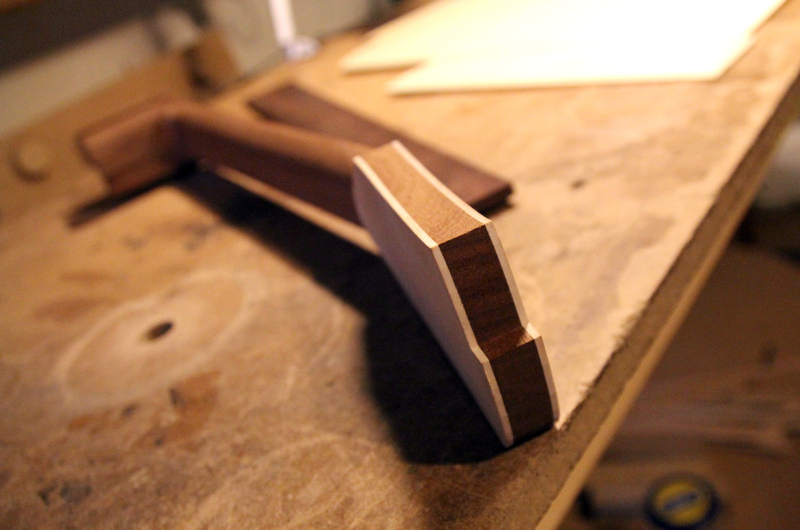 We will need to be careful with the finishing to ensure that the final code is crisp and sharp. 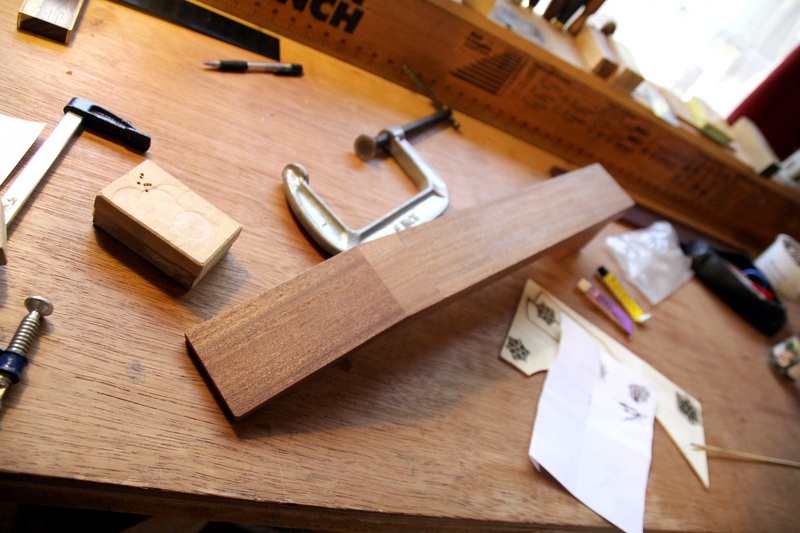 We pass on our etched maple to Nick who attaches it to the neck which is now taking its final shape. Nick glues our etching to the front of the headstock and also inserts the truss rod, the vital piece of metal hidden inside the neck that will stop it from bending and warping under the extreme tension of the steel strings. 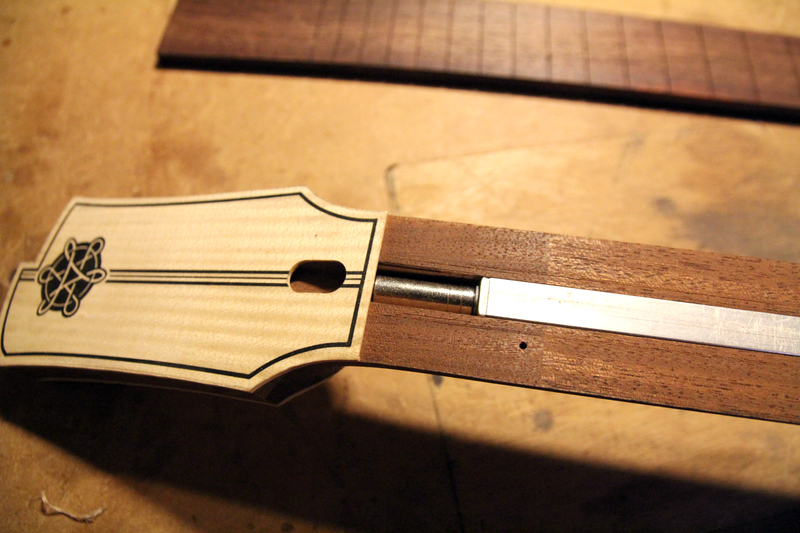 And once the fretboard is attached to the next you can begin to imagine what it might feel like to play the Carolan guitar. To be fair, earthquakes are extremely rare and mild in our neck of the woods. However, there was one a few years ago with its epicenter on nearby Lincoln, about 40 miles way from the site of our laster etching, that was strong enough to startle a parrot quite some distance away in North West Worcestershire. In fact, when interviewed on local radio, its owner, Patricia, confirmed that the bird in question was actually “quite startled” and her subsequent quote provided further illuminating detail: “Here on the North West Worcestershire borders neither my husband or I knew there had been an earthquake but when my husband came to bed at 1.40am he told me that just before our African Grey Parrot had woken up and was racing around his cage all of a quiver and he had had to calm him down by rubbing his belly”. So you can never be too sure. For the record, other British measures of earthquake severity have included strong enough to “cause a card to fall sideways on a shelf” or, far worse, to “cause ripples on the surface of a cup of tea”.